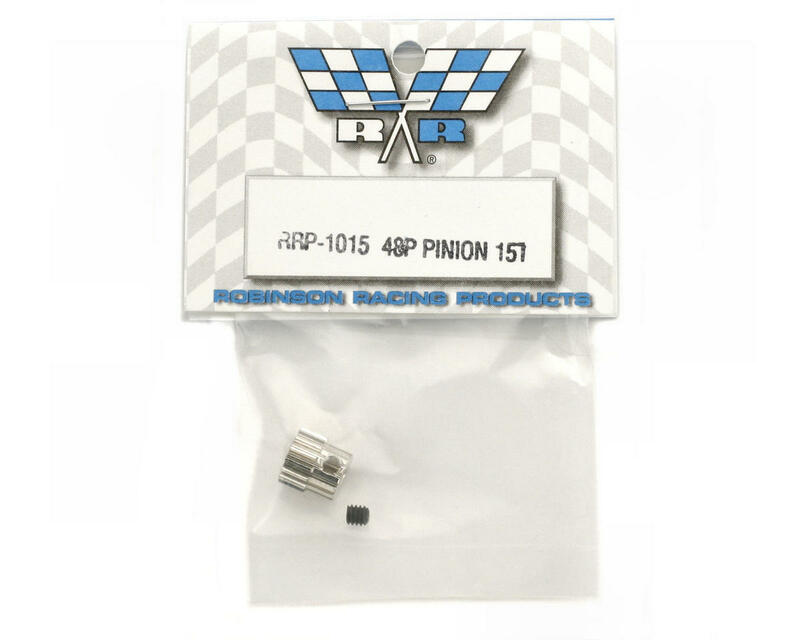 These Robinson Racing Products 48 Pitch Pinion Gears are precision cut alloy steel gears that feature a hard nickel coating for durability. The pinions have an 1/8" bore, are stamped with the tooth number for easy identification and include one 5-40 set screw. 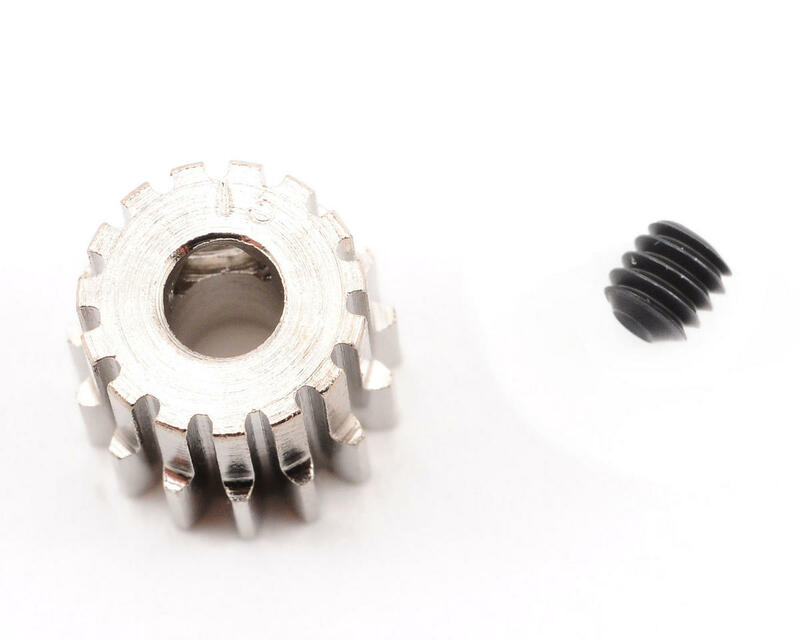 These gears are available in a variety of tooth count options to fine tune the torque and top speed of your vehicle.